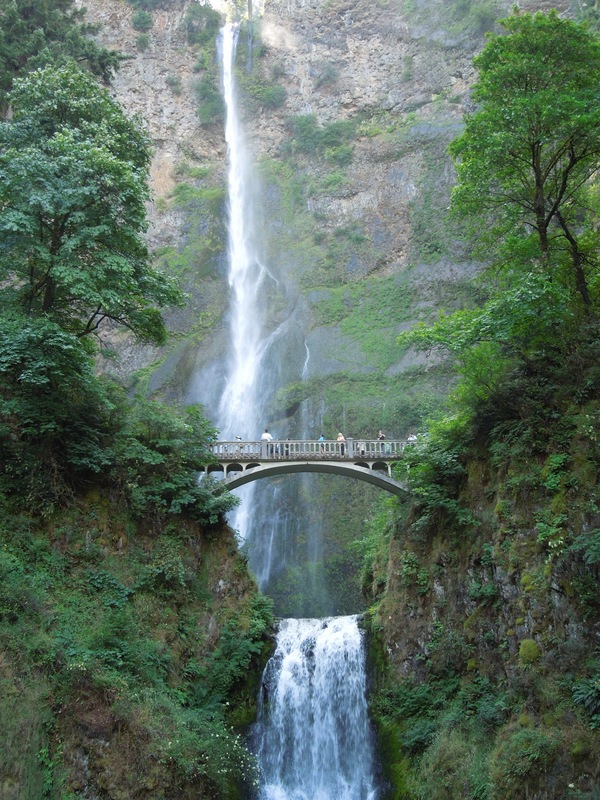 Multnomah Falls is just 30 miles east of Portland, Oregon. 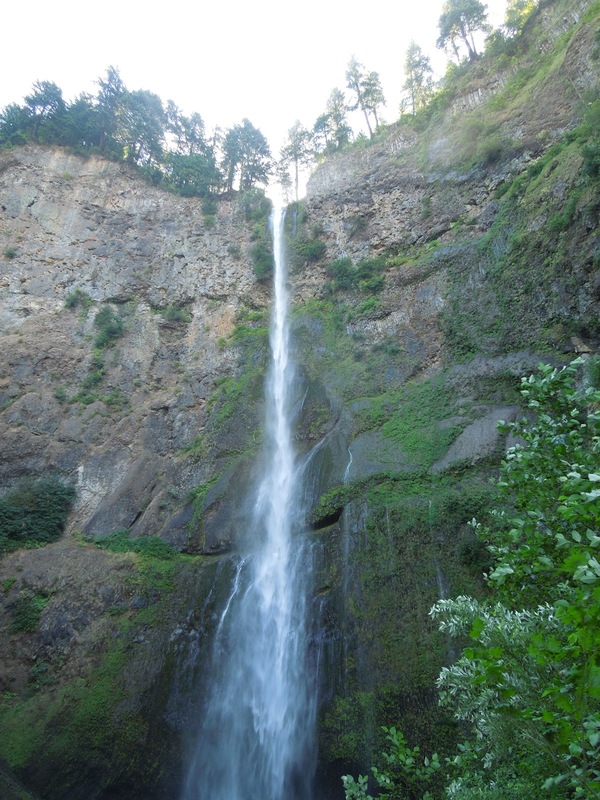 I’m sure everyone who reads this blog has seen Multnomah Falls before – it is showcased in the Infiniti Limited Engagement commercial. 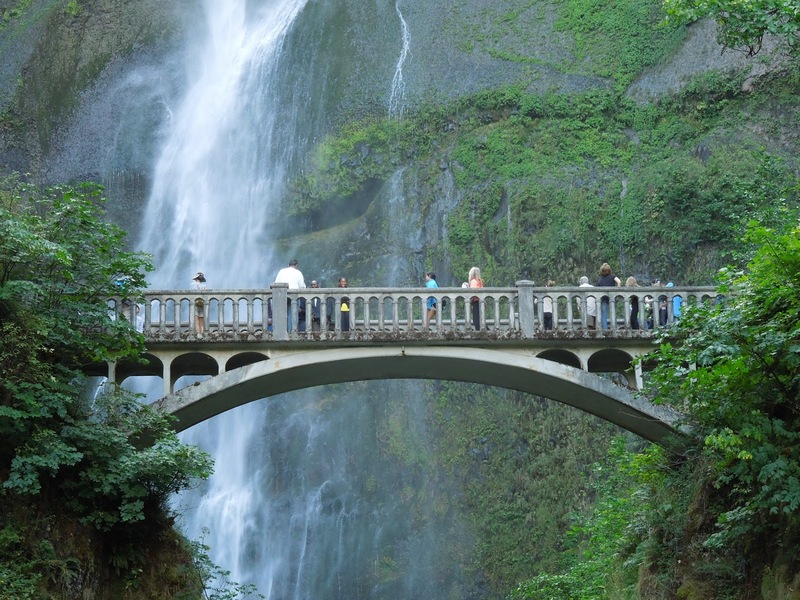 The ad makers took some liberties, as the bridge the Infiniti drives over isn’t at Multnomah Falls, it is at Horsetail Falls just down the road from Multnomah Falls. The bridge in question is just a walking bridge – as you can see from the photos below. The falls actually consist of two falls, the upper falls is 542 feet and the lower falls is 69 feet totaling about 620 feet (189m) from top to bottom. 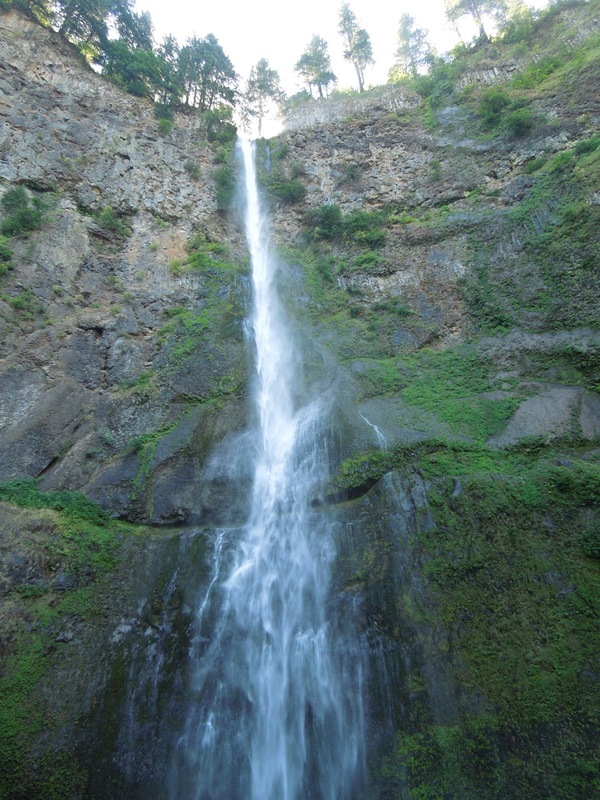 This is the tallest waterfall in the State of Oregon and not surprisingly a location that I had never visited before. 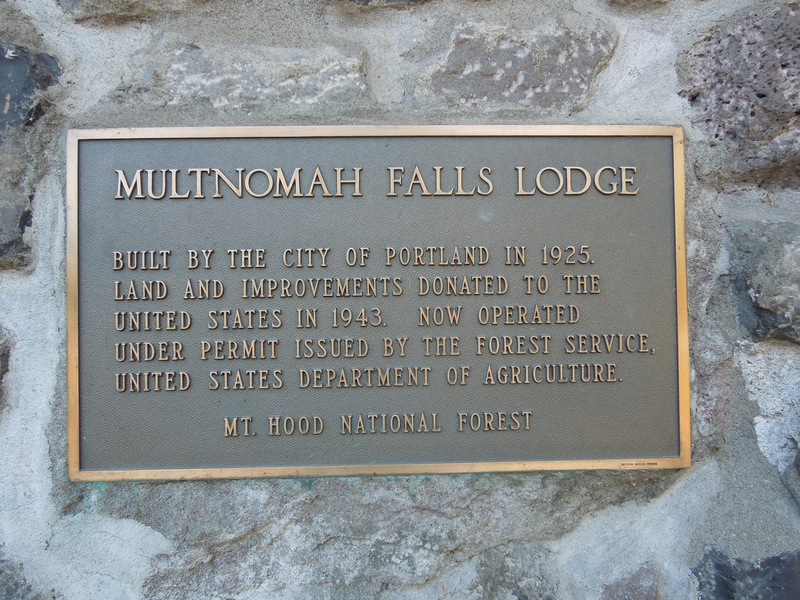 We visited Multnomah Falls on our way out of Portland on the way to Seattle – it was out of the way, but was totally worth the couple hour diversion (drive to and from and the hike). We decided to hike to the top of the falls. The sign indicates that the trail is 1.2 miles round trip. I must admit, I’m not a big hiker in general, but I really don’t think these distance signs are accurate. I am walking all the time in the City and 1.2 miles is nothing. I understand hiking is different than City walking, but this was the longest 1.2 miles ever. There were 11 switchbacks – the last few were very quick and even headed back down hill a bit. Beautiful falls, only 30 miles from Portland. Looking down from the top of the Falls, see the parking lot and the Expressway in the distance? The hike was very good – we weren’t exhausted but it was a nice work out. 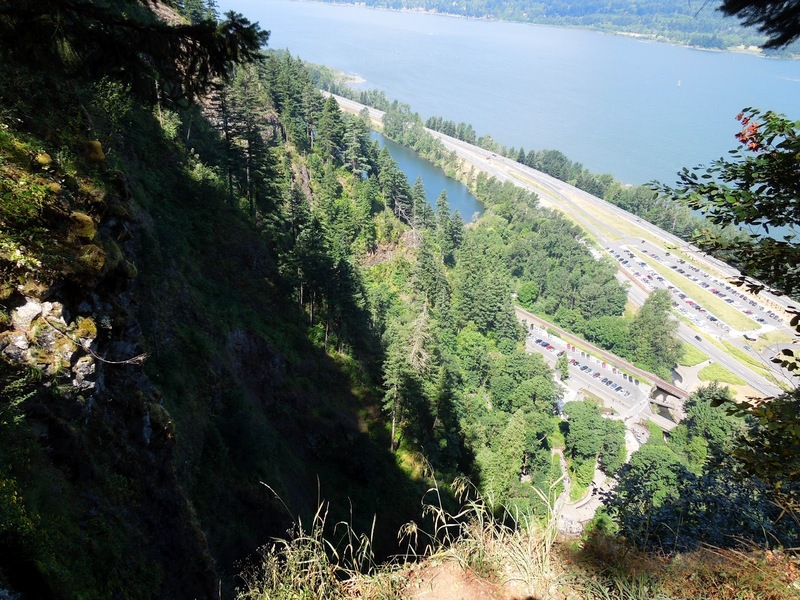 The views of the falls, the Columbia River and the trail were really beautiful. It often surprises me how many great outdoor things there are to do in Portland Oregon. Everything is surprisingly close. 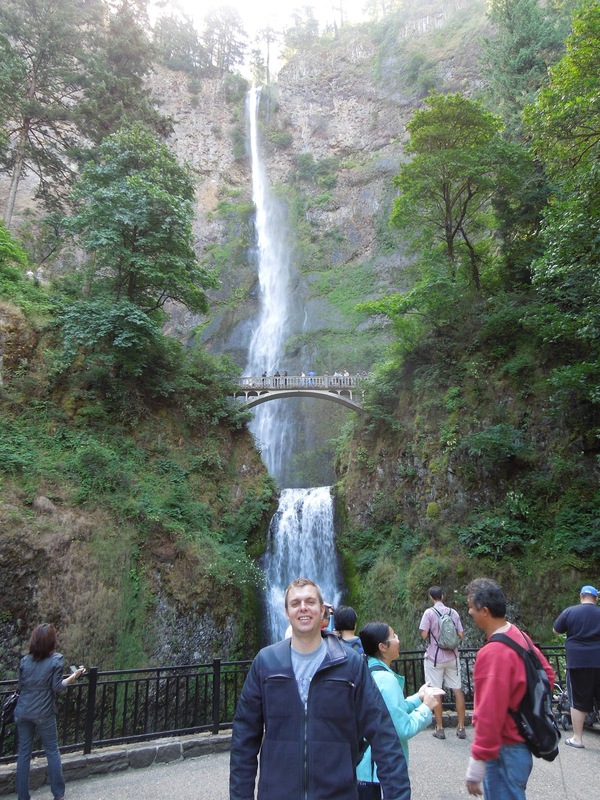 Have you been to Multnomah Falls before? 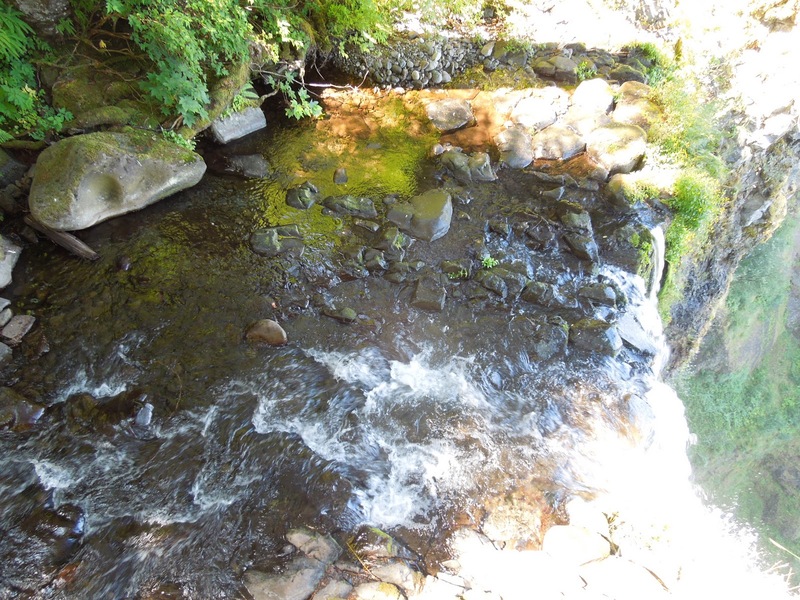 Which of the hikes at the Falls do you do? For all your Portlanders, how frequently do you visit this great location, right in your own back yard? Do you, too, think that the distance estimators on these hikes are artificially low (like here)? By Tim in Travel on September 3, 2012 .